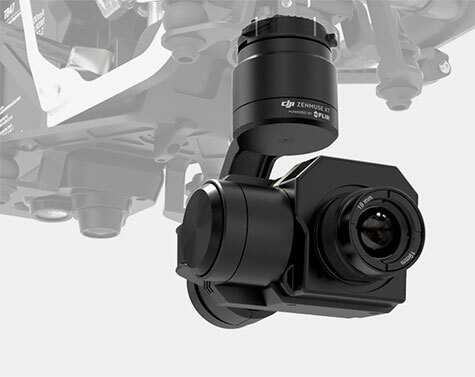 DJI’s Zenmuse gimbal technology has become the industry standard among demanding aerial cinematographers, and everything that makes DJI’s aerial platforms world-class for cinematography also makes them the perfect platforms for aerial thermal imaging: they’re stable, easy to fly, and fully-integrated with apps. 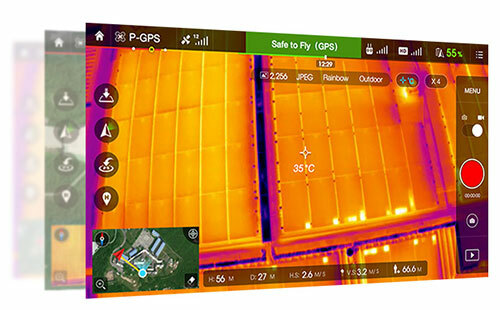 When you get right down to it, the main purpose of any drone is to position a sensor in three-dimensional space; when that sensor is a FLIR thermal imager, you expand the possibilities for drone operators and thermal inspectors alike. Using FLIR thermal imaging from small drones brings new capabilities to dozens of applications like search and rescue, the inspection of power lines, cell towers, bridges, substations, and buildings, firefighting, precision agriculture, and natural resource and wildlife protection. Mounted on either the Inspire 1 or the Matrice 100, the Zenmuse XT is ready to launch in seconds. Its seamless integration gives you access to important features like DJI’s powerful Lightbridge video transmission system, automated Point of Interest, Course and Home Lock, Follow Me, and the DJI SDK. 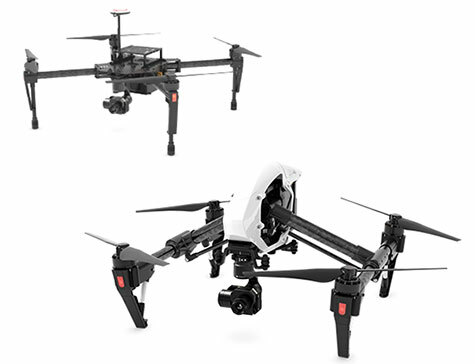 Fast, efficient, yet stable airframes, the Inspire 1 will keep the Zenmuse XT aloft for 22 minutes. If used with the Matrice 100, the Zenmuse XT can stay in flight for up to 35 minutes*, ideal for large scale inspections and especially useful in search and rescue scenarios. 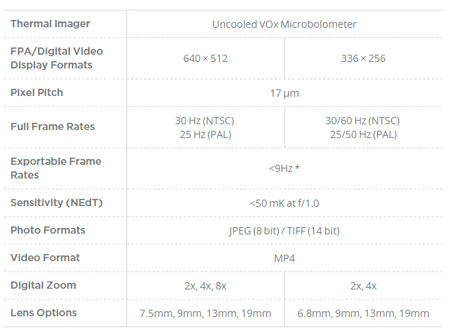 *Inspire 1: Flight times vary based on flight conditions, with a maximum 22 minute flight time being recorded when hovering with a TB48 battery using the Zenmuse XT gimbal camera. *M100: Flight times vary based on payload and flight conditions, with a maximum 35 minute flight time being recorded when hovering with dual TB48D batteries and no additional payload other than a Zenmuse XT gimbal camera.